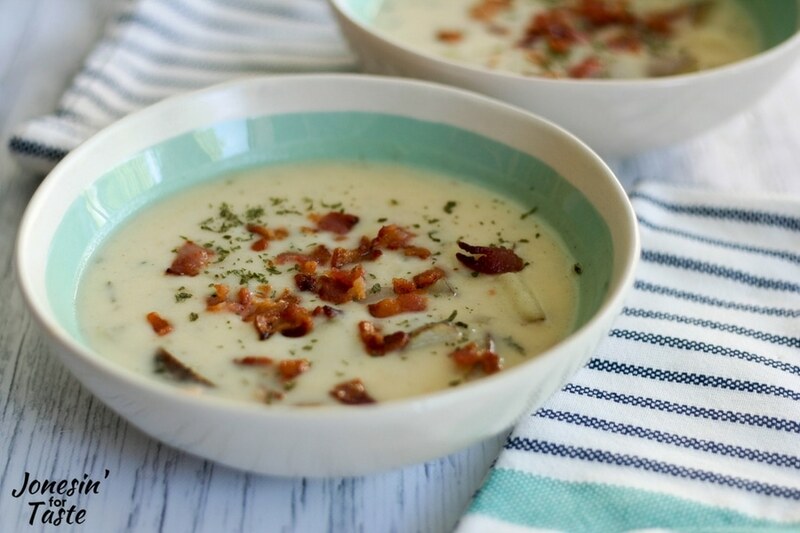 A bowl of this easy Potato Bacon Chowder is quick to make and wonderfully comforting with creamy potato broth, chunks of potatoes, and crispy bacon. How to make Potato Bacon Chowder? Fry bacon in a dutch oven, remove, and crumble. Or you can use precooked bacon crumbles (I get mine at Costco). 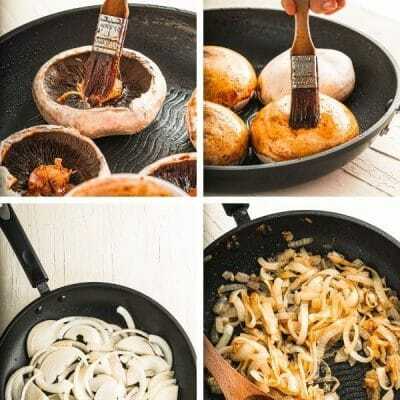 Using bacon drippings, saute onions. Add potatoes and water and cook until potatoes are tender. Add milk, sour cream or yogurt, and cream of chicken soup. Heat until serving temperature but do not boil! 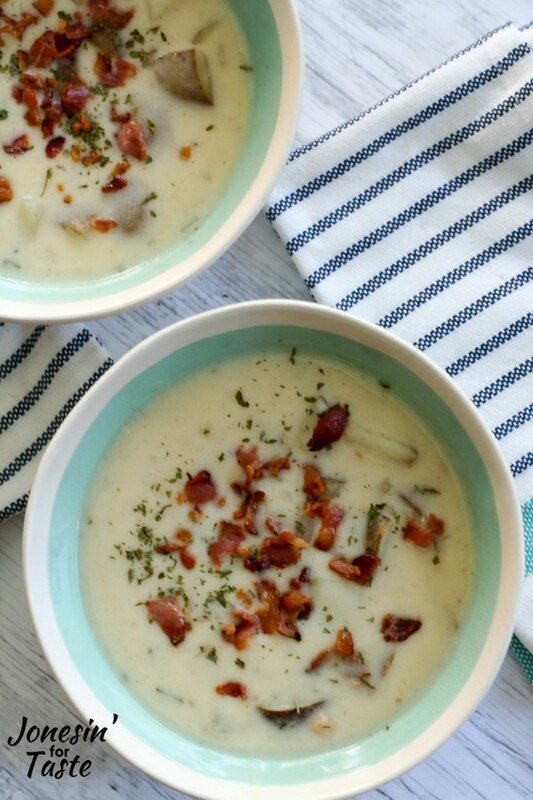 What to serve with potato bacon chowder? I like to pair it with a side salad, fruit, and crusty bread or a half sandwich. Our favorite sandwich to serve with this is the classic BLT! 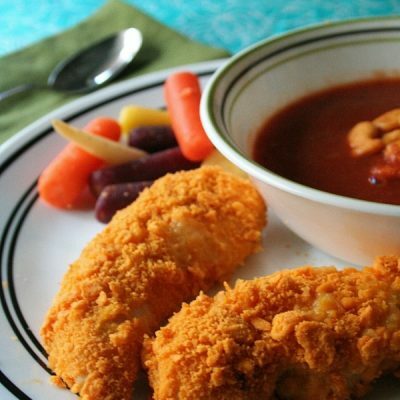 It’s a complete meal and totally satisfying and won’t leave you feeling weighted down. 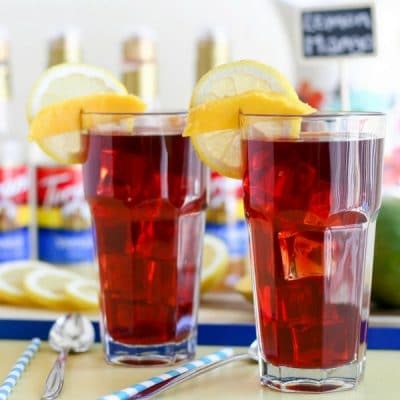 I’ve been making this for years and have tweaked it to be a little lighter but also not losing any of the original flavor. 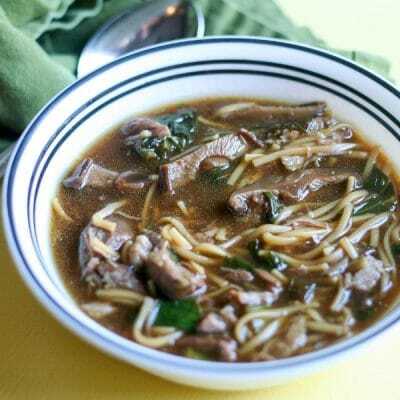 I usually like to make a double batch of the soup so we can eat the leftovers another day. How to make a lighter version of Potato Bacon Chowder? 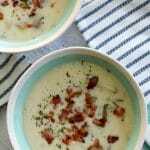 If you would like to make a lightened up version of this Potato Bacon Chowder you can swap half of the milk with cauliflower puree and replace half of the potatoes with parsnips. I sometimes also replace the bacon with turkey bacon. The one thing I find with turkey bacon is it really needs to be nice and crisp to give some nice texture to the soup otherwise it gets kind of lost in the soup. Cook bacon until crisp. Add onion. Sauté 3 minutes. Pour off drippings. Add potatoes, water, salt and pepper. Bring to a boil. 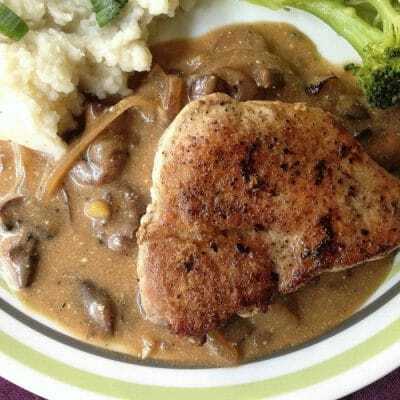 Cover and simmer 10-15 minutes. Gradually stir in soup, Greek yogurt, milk and parsley. Bring to serving temperature over low heat, stirring occasionally. DO NOT BOIL! If you want to do a healthier version of this soup replace one cup of the potatoes with parsnips and you can replace half of the milk with cauliflower puree.